The Oak Island Art Guild Offers an art enriching workshop on the second Friday of each month, January through October. 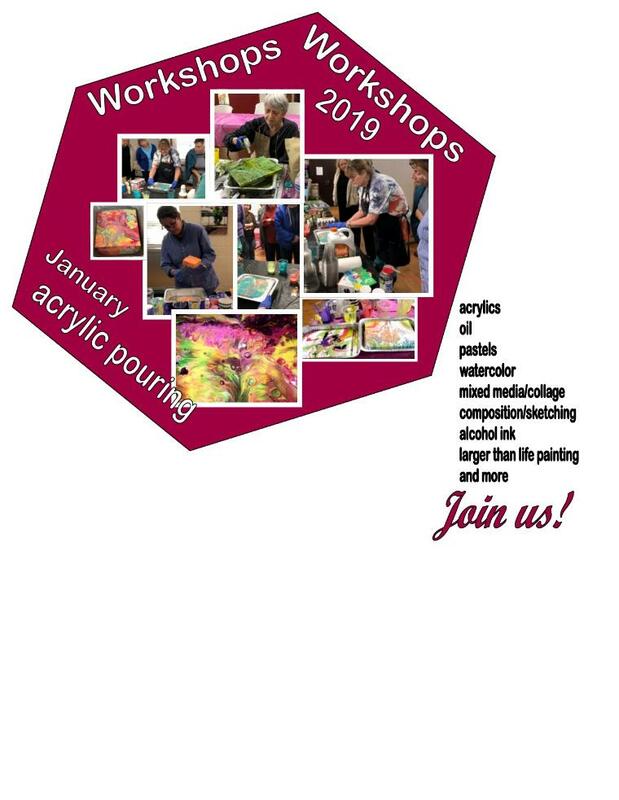 The workshops are open to artists of every level who are interested in learning new techniques or just enjoy interacting with others who share their love of artistic expression. Instructors come from many backgrounds in art. Their experience provides a variety of mediums to explore and inspire. Each presentation brings something new. non-members are welcome to attend. Workshops are held at the Oak Island Recreation Center, 3003 East Oak Island Drive, Oak Island, NC. They follow our 9 am guild meeting and last about 4 hours. Anyone 18 and above is welcome. There is no charge. Check the monthly listing at this website for featured art and supply list. Join the guild for $15 a year and receive all notifications and other advantages. "Figure Drawing with a Model"